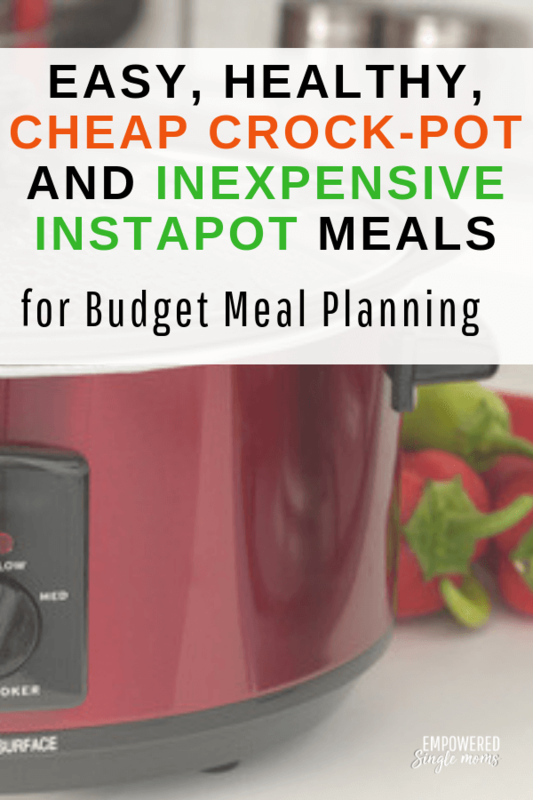 Inside: Easy, healthy, cheap crockpot meals and inexpensive InstaPot meals will give you the inspiration for frugal meal planning on those days when your time is in short supply. I have been eating a lot of pasta and sandwiches lately. I need some new healthy meal plans on a budget. What is a woman to do? I got a little carried away collecting new healthy, budget recipes, so instead of one article, I wrote a budget meal planning series for you. Going Vegan for a meal or two a week is another great way to save money on meal planning. You will find some interesting healthy vegan recipes here. You will find more meal planning resources in my members only resource library. Become a member of the community and get access to the resource library. I am just learning how to use my InstaPot, but I know a woman who has two and uses them both several times a month. Another friend of mine says she now makes most of her meals in her InstaPot. 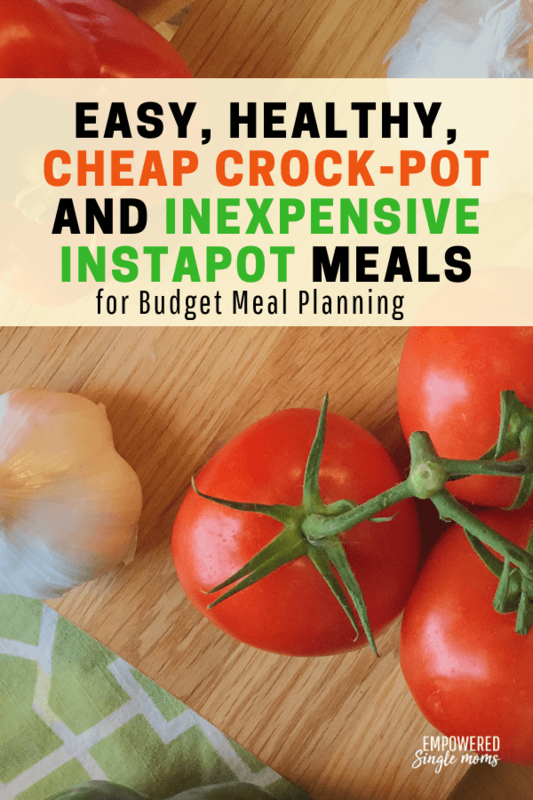 Whether you’re just figuring out how to make inexpensive meals in your InstaPot or are a pro like my two friends these recipes will inspire you. Dining On A Dime Cookbook is a great cookbook if you are looking for more cheap meals. You can get it as a regular book or as a digital book. What are your favorite Instapot and crockpot recipes? Have you tried a new one recently let me know? I am always looking for cheap crockpot meals to start at lunch or before I go to work in the morning. It makes the evening so much easier to come home to a hot meal and a house that smells like home cooking.